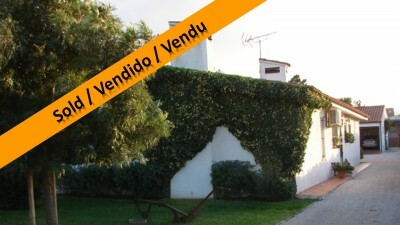 A three bedroom detached house with annex and swimming pool for sale near Tomar , central Portugal. The house is set on a plot measuring 1236 square meters and is all walled . The house benefits from air conditioning, solar panels for hot water, all the windows and doors are good quality wooden with external wooden shutters. The plot is divided in two parts one with the house , swimming pool and annex and the other can be used for vegetables or keep some pets because it has an entrance gate and is all fenced and separate from the house. The historic town of Tomar, which is home to the UNESCO listed Convento de Cristo, is a short drive from the property. Tomar is a popular and bustling town with a variety of restaurants, cafes, bars, historic monuments, schools, university, bus and train station and hospital.